Not far up the line from Ashford, towards London, is the station of Pluckley. 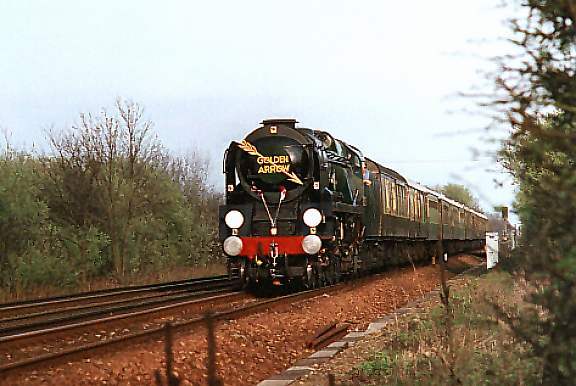 Between this and the next, Headcorn, this shot was taken of 35028 on tour, 4th April 1999. Like it? Check out the web-site of this loco. at the Links Page.